Ever heard of Mo Farah? If you watched the London Olympics last summer, the name likely rings a bell. 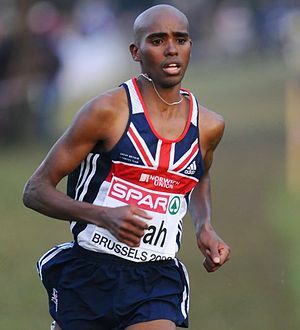 Mohamed “Mo” Farah is a Somali-born British track and field superstar. He is the current Olympic champion at the 10,000 meters and 5,000 meters. He is also World Champion and European Champion at the shorter distance. A few days ago, he was appointed Commander of the Order of the British Empire (CBE) in honor of his athletic achievements. Pretty impressive, right? Well, according to U.S. immigration officials, he’s also a suspected terrorist. Just before Christmas, when he was returning to Oregon to spend the holidays with his family, he was pulled out of line by agents of U.S. Customs and Border Protection (CBP) and questioned for hours. You can read the full story as reported by the New York Daily News here. Farah was understandably shocked by the treatment he encountered. “I couldn’t believe it. Because of my Somali origin I get detained every time I come through US Customs. This time I even got my medals out to show who I am, but they wouldn’t have it.” Can this be right? Despite being shown his two gold medals from the London Olympic Games, CBP officials continued to question Farah and investigate whether he posed a terrorist threat? Could it be that CBP Portland doesn’t yet have access to the internet? Perhaps more troubling, this was not Farah’s first run-in with U.S. immigration officials or the first time he’s had to fight to clear his name. When he applied for permanent residency (a “green card”) last year, immigration authorities informed him that he was under investigation as a potential terrorist threat. His application was only processed – and approved – after he reached out to his coach, famed former champion Alberto Salazar (heard that name before?). Apparently, Salazar contacted a friend in the FBI who made some calls and helped sort things out. Is that really what it takes? Okay, a couple of isolated incidents, right? Hardly. In December 2010, India’s then-Ambassador to the United States Meera Shankar was pulled out of the security line at an airport in Mississippi and frisked by an immigration officer, apparently because she was wearing a sari. On two occasions, former Indian President APJ Abdul Karam was singled out and frisked by immigration officials. One of those times, agents also saw fit to confiscate his jacket and shoes. The list goes on and on. A few years ago, we represented a well-known Tibetan folk singer named Yungchen Lhamo, and helped her obtain a green card based on her exceptional ability in the arts. Lhamo, who has been called the world’s leading Tibetan vocalist, has performed around the world and recorded with the likes of Annie Lennox, Natalie Merchant, Michael Stipe, Philip Glass, and Sheryl Crow. Her songs were featured on the soundtrack of Seven Years in Tibet, and Peter Gabriel was so taken by her ethereal voice that he signed her to his prestigious Real World Records label. Lhamo, who walked to freedom from Tibet to India over the Himalaya mountains, stands all of five feet tall, often wears traditional Tibetan clothing, and greets the world with a warm, gentle demeanor. Obvious security threat. Lhamo told me that every time she travels back to the United States – she’s a permanent resident, mind you, who lives in New York – she is stopped, detained for hours, sometimes questioned (but other times not), and ignored when she attempts to explain who she is. “Finally, I have to bring out my photo album,” she told me. The album, which she also showed me, contains photographs of Lhamo and Paul McCartney. Lhamo and Sting. Lhamo and Peter Gabriel. Lhamo and John Cleese. And (my personal favorite) Lhamo and the Smashing Pumpkins. And many, many more. “Usually, after a few hours, one of the officers will say ‘Oh, you must be someone important’ and they’ll finally let me go.” But there are no apologies, no notations in the system, and she can expect the same mistreatment next time around. Now, some will say this is just the price we pay in the post-9/11 world to ensure that we’re safe, to ensure America’s security. But as Benjamin Franklin famously remarked: “They who can give up essential liberty to obtain a little temporary safety deserve neither liberty nor safety.” And does anyone truly feel safer knowing that our national security is in the hands of government agents who can’t distinguish between an Olympic gold medalist and a terrorist threat? 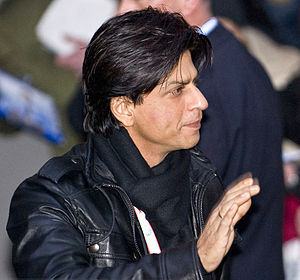 Or a global movie superstar, or an Ambassador to the U.S., or a former President of India? Can we not instruct these agents in how to use Google? At least Barney Fife wasn’t put in charge of anything important. What other agency of the U.S. government is permitted to engage in such blatant racial, ethnic, and religious profiling? Who other than officers of the Department of Homeland Security are empowered to detain and interrogate lawful U.S. residents based solely on their country of origin, the sound of their name, or the clothes they happen to be wearing? Where else but in DHS can we find such institutionalized xenophobia? But fret not! Our hard-working immigration officials are protecting the homeland from the likes of Mo Farah and Yungchen Lhamo. Feel safer now?